The late-80s Christian Slater vehicle “Gleaming the Cube” must have arisen out of the most breathless Hollywood pitch meeting in history. A California skateboarding punk teen (Slater) whose parents just don’t understand him avenges his adopted Vietnamese brother’s murder by some Vietnamese toughs that work for a shady arms dealer who’s posing as a legit pharmaceuticals salesman. Out of breath yet? Too bad. We need a love story. Slater also falls for the dead brother’s girlfriend, who’s also Vietnamese; she rejects him not only because he’s white and her father (who happens to be one of the shady pharmaceutical execs) forbids mixed-race relationships, but because of his pierced ears and dyed hair and freaky wardrobe. So for about 1/3 of “Gleaming the Cube,” we see Slater in full-on preppie mode as he tries to clean up his act for the girl…and his parents. It is Slater who apologizes for being a disobedient son, not his parents who apologize for rejecting him, and for awhile we assume “Gleaming the Cube” will turn out like one of those old Billy Graham propaganda films, peddling a conservative, father-knows-best agenda while pretending to tout everything hip about those darned teens. But never fear–by the climax, Slater may be a little more conventional as far as his fashion sense goes, but he nonetheless returns to his skateboarding ways, skyrocketing over highways and creating a bodacious vehicle smash-up. Oh, and there are warehouse explosions. Dumb cops locked in portable offices that of course tip over. More warehouse explosions. Plugs for Pizza Hut (the final chase involves a Pizza Hut truck). And skaters that talk in all the latest California slang (but all five of the skaters in Slater’s crew combined don’t add up to the goofy energy of Bill and Ted alone). Director Graeme Clifford tries to make some of this nonsense serious. There’s a subplot about the Vietnamese girl’s father trying to shed his Communist roots and assimilate in America, and the tragedies of him having to involve himself with a crime outfit to do so. But mostly, this is a silly popcorn thriller that isn’t quite campy enough to entertain fans of the “so-bad-it’s-good” genre. It does, however, give three types of female Christian Slater fans the chance to gawk at him in three incarnations: preppie Slater, punk Slater, Slater Slater. This movie is not available on streaming. Did you not watch this movie at all? You have a ton of stuff wrong. There was no Vietnamese GANG. There were no drug dealers. Slater never fell in love with his brother’s girlfriend. You mention Pizza Hut, but not Tony Hawk, come on!! Worst article about Gleaming the Cube ever! As for Slater not falling for the girl–I read that differently. I think he’s a little in love with her (who wouldn’t be?) and tries to clean up his act for her, but then accepts her obedience to her family. 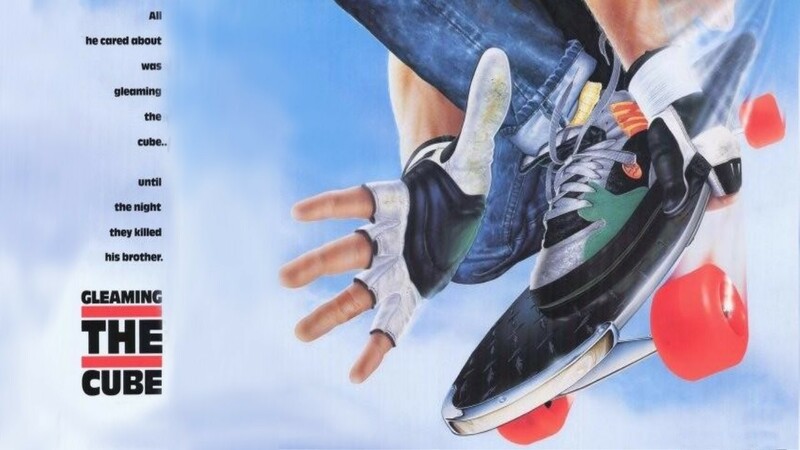 And Tony Hawk–well not every reviewer/writer is going to mention everything noteworthy about the movie. Anyway I hope you keep reading and that we can talk one day for this blog! Thank you, Sam. I appreciate you revising the article. Please, re-watch the movie sometime and see if what all you wrote matches what actually happens in the movie.